Owen Springs Reserve protects 1,570 square kilometres and was formerly Owen Springs cattle station. It offers visitors an outback four-wheel drive (4WD) experience, a quiet setting for bush camping and ideal picnicking and birdwatching. This picturesque reserve is dissected by the Hugh River, its broad, sandy banks lined by shady river red gums. Rocky gorges and red sand country add to its scenic appeal and in several places waterholes stay for a period after rain, attracting a variety of wildlife. The area protected in Owen Springs Reserve is rich in Territory history. The main access road through the reserve closely follows explorer John McDouall Stuart's route through Central Australia during his early 1860s expeditions. One of the major results from Stuart's explorations was the construction of the Overland Telegraph Line that originally followed his track through Lawrence Gorge in the Waterhouse Range. 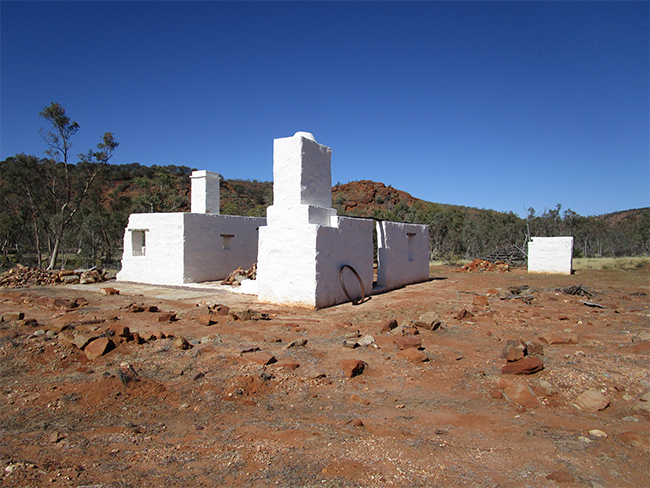 Australia's early pastoral history is also featured at the old Owen Springs Homestead ruins, which is the site of the first station homestead built in Central Australia. Get the Owen Springs Reserve fact sheet and map (616.5 kb). Get the Owen Springs Reserve self drive information sheet (1.9 mb). Roads may be impassable and closed after heavy rains. The park is only accessible with a high clearance 4WD vehicle. or along the Stuart Highway, 66km south of Alice Springs. 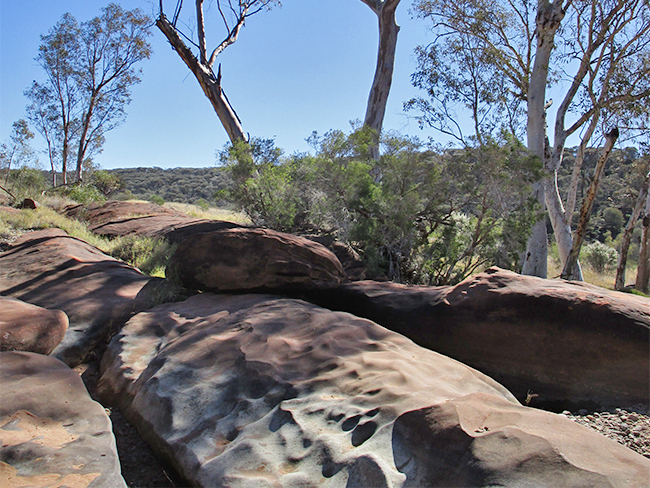 You can only camp near Redbank Waterhole and in areas between the signposts within Lawrence Gorge. There are no facilities. Camping fees apply and are payable on-site. 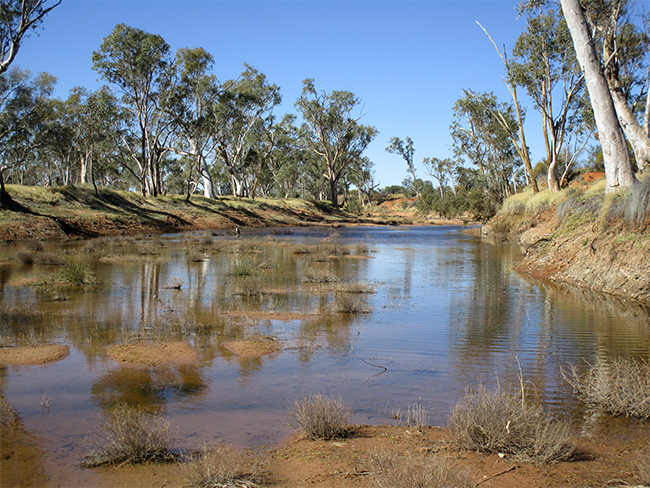 Redbank Waterhole is not permanent, so if it hasn't rained in a long time, the waterhole may have dried up. dogs are only permitted south of the Waterhouse Range and they must be kept under control.